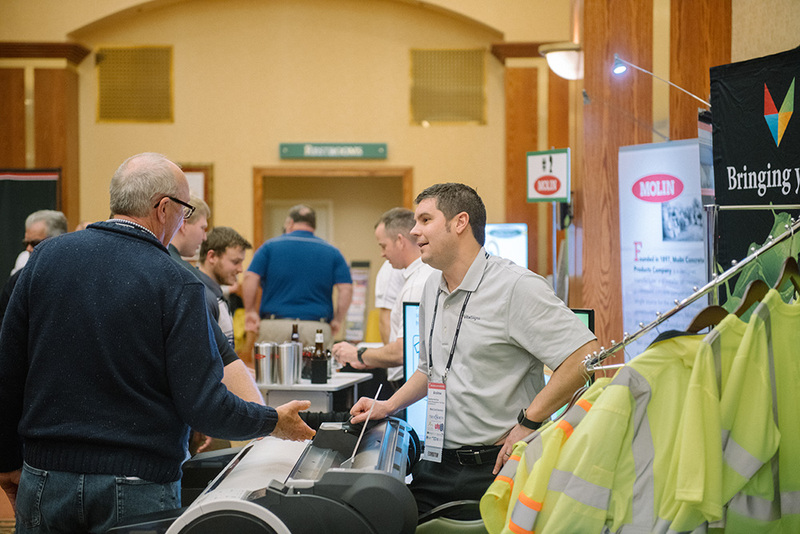 The 2019 MBI Annual Winter Conference is almost here and MBI is excited to host an expected 1,500 contractors from around the state. The conference will include two and a half days of networking, education, recognition, and… exhibiting! We’ve had more interest in this year’s exhibitor show than ever before, so we wanted to give all of our exhibitors some quick tips on how to succeed. The nature of a trade show is that you get access to a large potential customer base in a short period of time, but you will also be competing with other exhibitors for those individuals’ attention. Following the five tips below can help you walk away from the show feeling very productive. 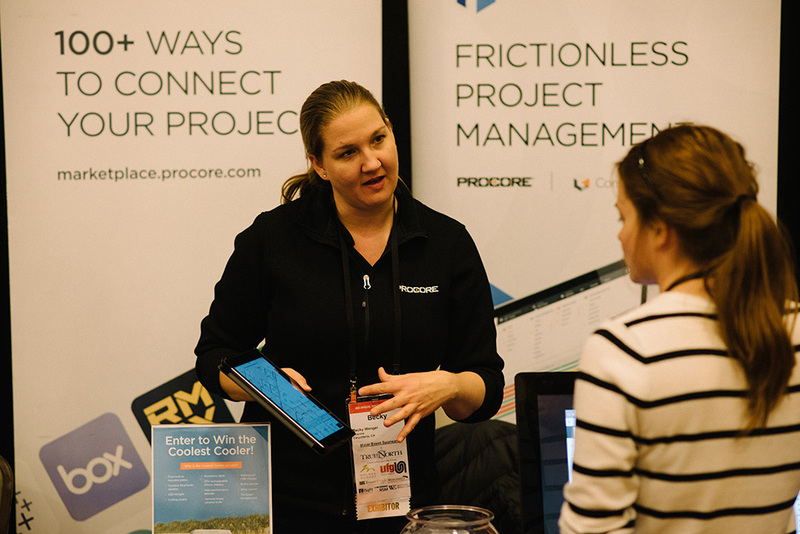 Prioritizing your reasons for being in attendance at the exhibitor show can go a long way towards ensuring your efforts are focused on achieving what you want. Are you exhibiting at the show to promote new products? Gather sales leads? Educate the industry at-large? Simple brand recognition? Whatever the case may be, identifying these things beforehand can point you in the right direction. It takes approximately 3.5 seconds for someone to walk by a 10×10 exhibit space, so you want to be sure to grab their attention! Being intentional about how you setup your space can help you attract the right customers. Using color, light and movement is never a bad idea, and creating a space that someone can walk into oftentimes makes your business seem more approachable. In my opinion, this is perhaps the biggest factor leading to trade show success. 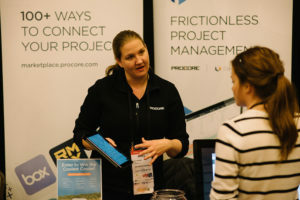 A professional staff that is ready and willing to reach out to potential customers at the exhibitor show plays a huge role in your organization’s success during these two days. Your company has made the decision to invest time and money into being at the show, but without a plan to engage the customer, you could walk away believing your time there was not worth it. This plan could be as simple as making sure the space is staffed with the proper individuals, or something more clever, but putting some extra thought into this area will never have a bad return. These days every company has an audience of social media followers, and with some well-timed pre-show posts, you can effectively generate booth traffic and interest in your space. For many companies, the trade show is a place to not only attract new customers but to also reconnect with current customers and further those relationships. Don’t be afraid to invite your current customers and social media followers to stop by your space for a brief conversation. As an added bonus, these environments can also lead to referrals from a current customer to a new customer. Did I mention you should follow-up? Industry statistics tell us that zero follow-up is done on 80% of trade show leads. That means just a simple contact after the show will set you apart from many other exhibitors! Prepare your post-show follow-up process before the show takes place so that you can let potential customers know what to expect, and then make sure you follow through. I would recommend making all of the initial contacts within 48 hours of the show’s completion. We do our best at MBI to help you engage with customers, particularly through our prize drawing and mini-golf options. If you have any questions before the show, please do not hesitate to reach out to me at MLoveless@mbi.build. It’s a Competition… And We’re Losing.